Cosplay normally requires, at least in theory, a ton of design and manufacturing work. Followed by modelling and photography. That's even more work. If you want to look like something fancy and dressed up, it's way easier to just buy one of these hoodies. 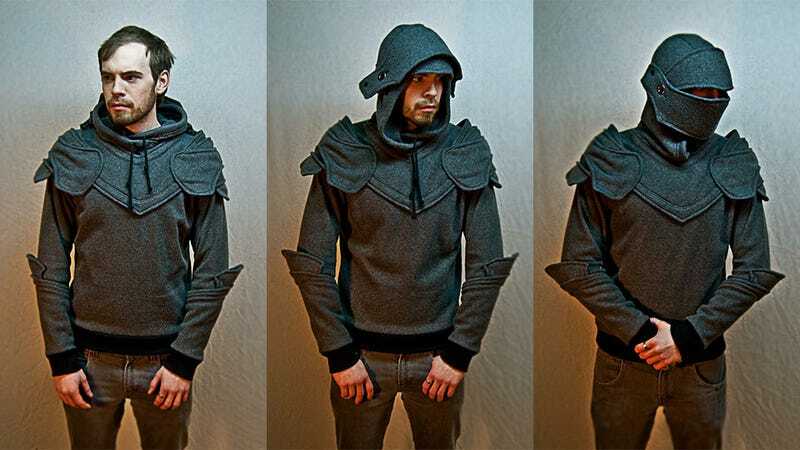 Then you can say you're cosplaying Dragon Age, or Skyrim, or Game of Thrones, or World of Warcraft, or whatever, but still be wearing something that, in theory, still lets you ride public transport in safety. Note that, due to demand, the store's actually down at the moment, so if you're interested, you might be best bookmarking the site below then coming back a little later.